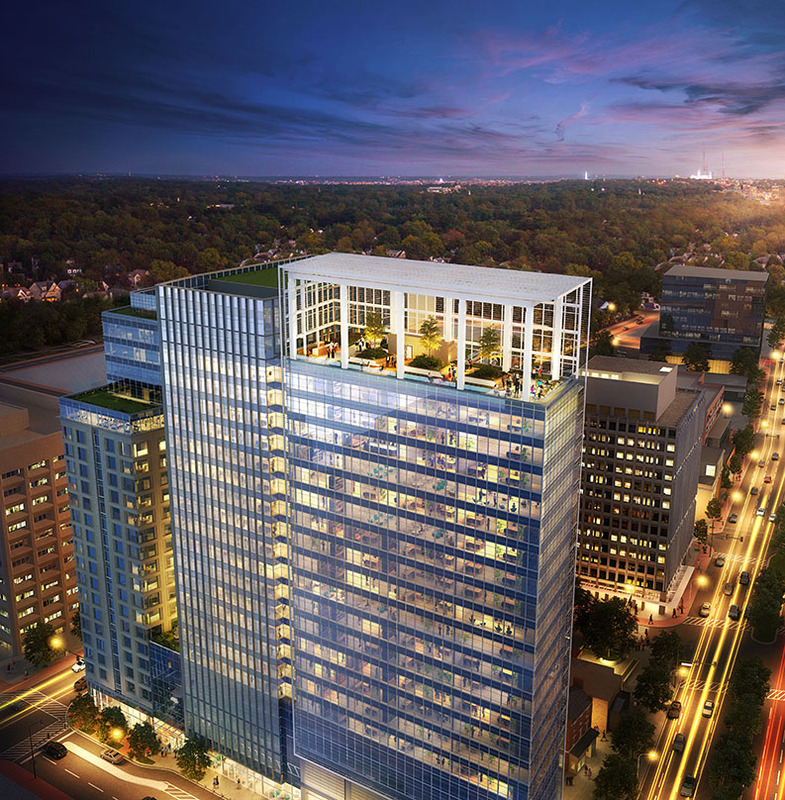 A vibrant mix of public and private amenities and open space create a continuous flow of vitality from Wisconsin Avenue through the public plaza and office and hotel lobbies. 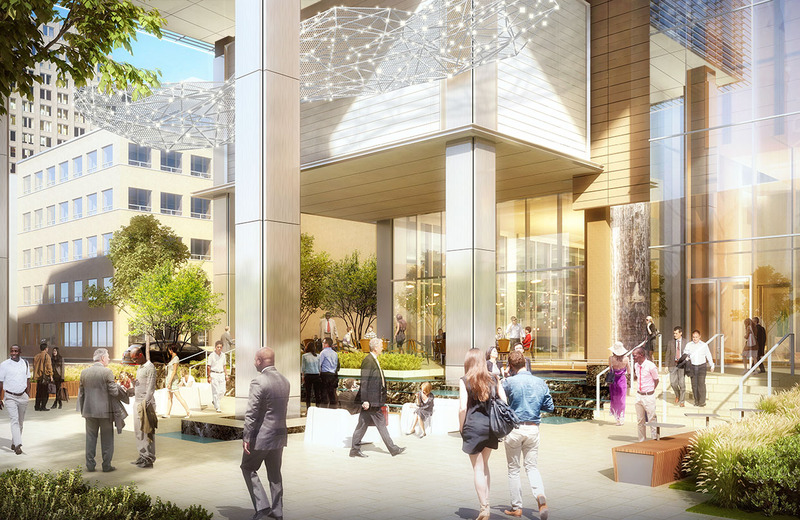 Work and gathering spaces, as well as a restaurant, provide socializing areas for users as well as area residents, employees, and visitors within the popular urban core. 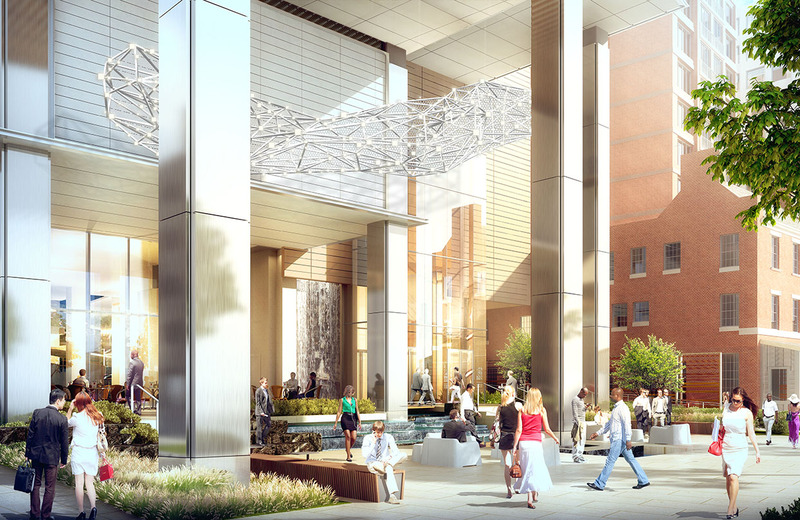 These amenities will significantly enhance the Corridor and further enliven the central business district. 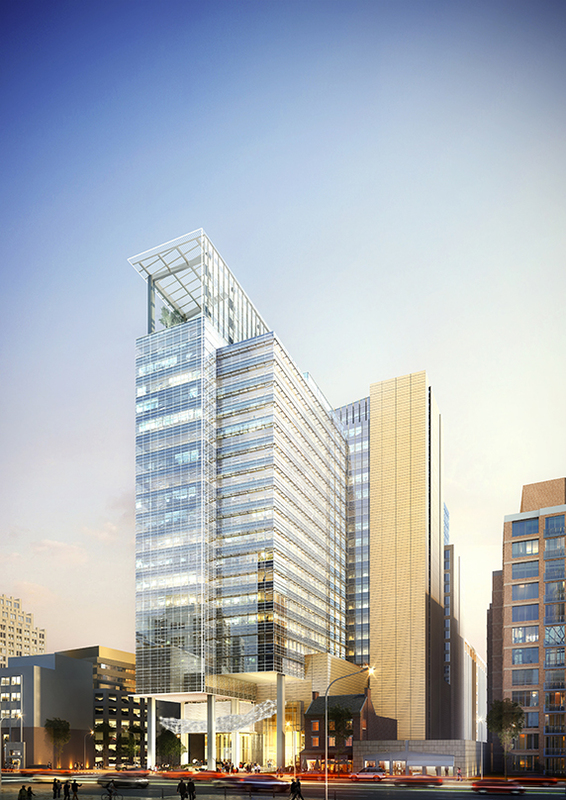 7373 Wisconsin’s bold architectural composition will reshape and redefine the city’s new business landscape. 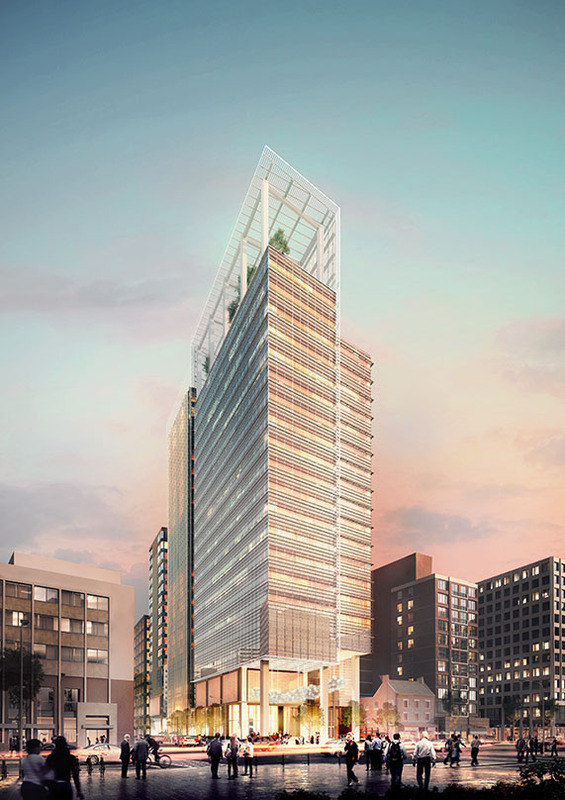 The elegant glass façade’s highly developed shading system will allow for great views out and controlled natural light deep within the office space. 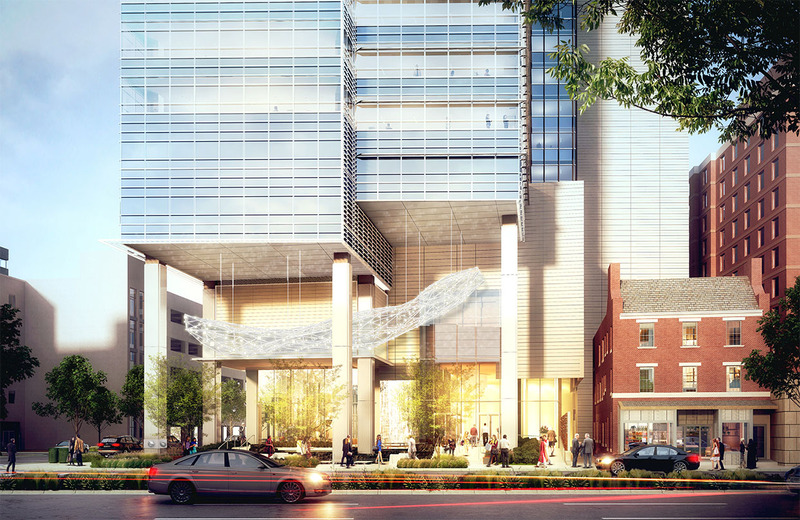 Distinguishing its front entrance, a canopy will cantilever 45 feet above the public plaza to create a dramatic and welcoming element. 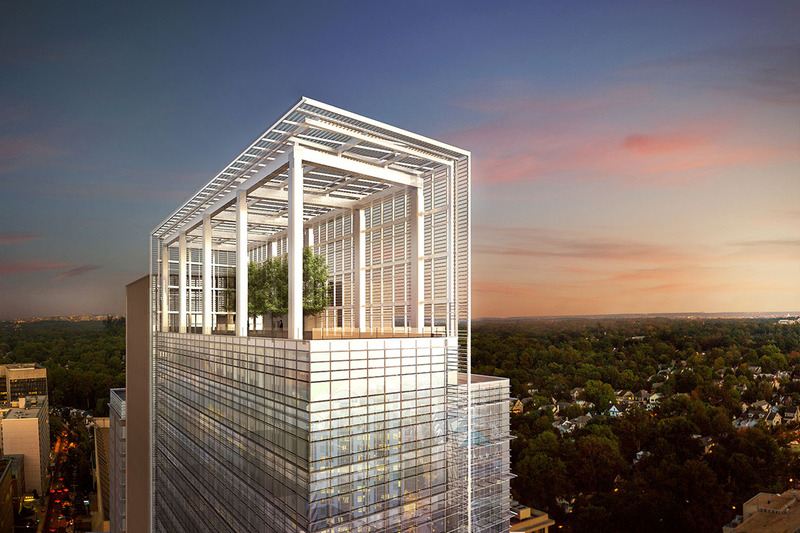 The tower is crowned by an elegant trellis atop the sky terrace in a composition of evenly spaced rods that rise up the building from the entry plaza. The project is scheduled to open in spring 2021.